For hands free recording use the Camcorder Sunglasses! 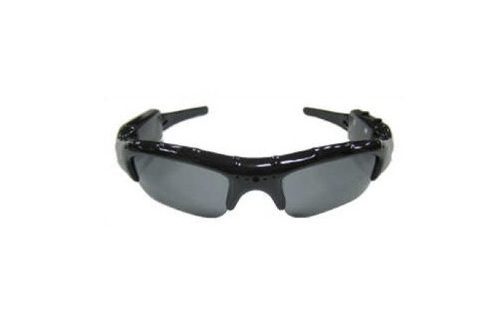 These stylish sunglasses have a built in camera and DVR with micro switch controls right at your finger tips. This unique camcorder system will view and record what the user sees. Use in any application to record video i.e. sporting events, concerts, school programs or kids ball games. Play back is easy using your PC and almost any video software. 2 GB internal memory, allows up to 5 hours of video recording. 1.3 mega pixels pinhole CMOS camera. Internal rechargeable battery 110/220 volt. Plays on most video software. Driver needed for Win 98 and below only. Price: $21.99 & eligible for FREE Super Saver Shipping on orders over $25.